Fairytales and Fitness: What makes a good Themed Race? I never really do themed races, but I am always impressed by some of the costumes that runners come up with (that I see on social media). And I do think it would be fun to get race swag that is specific to that race. Yea, some costumes are really creative! I like themed races because they add something different to something that's expected (like you said, the start and finish). I like seeing the costumes and I like when the swag matches the theme. I think a post-race party is key for themed races! I could leave the themed photos on the course, but they're fun afterward! I'm glad you like themed races! Even though I don't always stop, I do think it's fun to see the photo spots along the course. I think theme photos at the end is a must! Disney sure does do it up! I guess I did just run a themed race, although I didn't think of that! Although I almost never dress up, I do enjoy seeing runners in costume (and often wondering how they can run in that). The fourth of july race here is one of my favorites -- I noticed when coming back from picking up Bandit the other day that the flags are on the lightpoles on the road near us (they go up for Memorial Day -- early, obviously). Yea, some people are more about the costumes than about being able to run comfortably. I've got to be comfortable on the run! They should not feel annoyed. I'm not much into themed races but I do like traditional / annual races like the Shamrock Shuffle here in Chicago. I don't do costumes but I'm glad people enjoy getting decked out to run! I'm not a "themed race" kind of runner--I actually like to just run! I think themed races are fun once in a while. Doing the Disney Princess 10K was quite the experience and I loved getting photo opps through the park! I still need to find a July 4th race...I always seem to miss the major holidays! I don't really run a lot of themed races, but I do like holiday themed races like Turkey trots. Themed races really are fun! Love when there is swag and photo ops! I love themed races! They are so much fun to participate in. I've never really done a themed race. The Color Run is the most themed I've done & not even sure that counts. I want to do a super hero run so badly! I really want to find a Christmas themed race this year!! I seem to have done all seasons, except for Christmas. I like themed races. I've been dressed up like a pirate and Olaf - difference races though! I did a Halloween race in 2012, and it was fun seeing what people dressed up as. I didn't run in costume, but I wore an orange shirt, black Under Armour, and I made sure to have festive black and orange striped socks. I don't know if I have ever done a theme race but I would love to someday - It looks like so much fun! But it would definitely have to be a "for fun" mindset vs my normal "trying to run as fast as I can" race mentality. I don't really get in to themed races. I pretty much pick them based on date, location and distance. Okay, it's settled. I think you need to organize a themed race. You'd be great at it because you have so much experience running all different types of races! I would love to run Wicked 10K one day, but usually same weekend as MCM. Have a great weekend! I think it is fun to people show up for these runs and if dressing up in a costume gets them out so be it! I ran a jingle jam 10K a couple of years ago and placed in my age group and I could hang the medal on the tree- love it! I like themes that encourage costumes because they are fun to look at. I try to participate but my creativity is usually lacking! 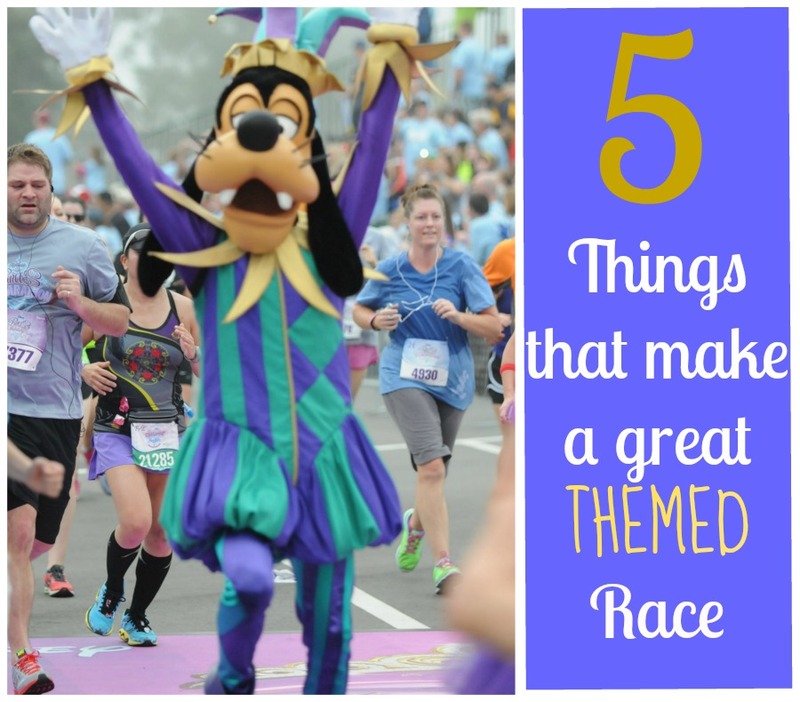 Themed races are certainly fun to run (ahem, Disney! ), but I also enjoy running non-themed races too. Its nice to run at a variety of different races, and definitely helps with keeping my interest spiked. I do like the holiday themed races... I think it's great to see families out getting active together.